It has been over one month since the Russians launched their military and political operation in Syria and the time for hyperbole and flag waving has clearly passed. Gone are the “most anticipated showdown in recent history” along with rumors of MiG-31s, Russian paratroopers, “thousands” of military personnel, ballistic submarines and other such nonsense. And, contrary to what some wrote, none of what happened was “coordinated with the White House”. What I propose to do today is to evaluate what has really happened and to look at the Russian options for the future. But first, a short restatement of what really took place. I will never repeat this enough: the Russian military forces is a small one. Yes, they are flying an impressive amount of sorties every day (anywhere between 50 to 80). But let’s compare that to the Israeli air force effort during the war against Hezbollah in 2006 when the Israelis flew 400 (four hundred) sorties every day. Add to this the massive Israeli artillery barrage and even attacks from the Israeli Navy. Finally, let’s remember that Israel was not fighting all of Hezbollah at all, but only 2nd tier Hezbollah forces south of the Litani River totaling less than 1000 fighters (Hezbollah kept all the best trained forces north of the Litani River). Keep in mind that the AngloZionist propaganda always presents the Israeli military in general and the Israeli Air Force in particular as some kind of quasi-invincible super-force of uber-trained heroes who are the best of the best. One quick look at the chart above tells you who the real super heroes are in reality. But my main point is not to ridicule the Israelis but to point out the huge difference in size between the two forces and to ask a simple question: if a huge Israeli force could not defeat about 1’000 2nd tierHezbollah fighters, what could the small Russian force realistically achieve? This, really, is THE key question. And, the answer, is quite obvious: the Russian force was never sent to Syria to defeat Daesh or even change the course of the civil war. The real goal of the Russian interventions were very limited in purely military terms. First and foremost, the Russian tried to break the US and Turkish momentum for an overt military intervention. In that they undoubtedly succeeded. The second goal was to provide limited but nonetheless crucial support for the Syrian military (including moral support). Again, in that they also undoubtedly succeeded and on most sectors the Syrians are on the offensive, however slowly. Third, it now appears that one of the goals of the Russian intervention was to basically provide the Syrians with a modern air-defense capability and, in that, the Russians have also succeeded, even if partially. Why do I say partially? Because while the current air-defense capabilities of the Russian forces in Syria are adequate to defend the Syrian airspace against a limited attack, they are far from being sufficient to prevent the US from a determined large scale attack. All the Russian did is raise the costs of intervention for the USA, but they did not make it impossible. Interestingly, the Iranians have declared today that they have (finally!) finalized the sale of Russian S-300s to Iran. In doing so Russia not only helps protect Iran, but the Russian military also helps a friendly country secure an airspace which might be vital for Russian efforts in the future. The real “action” however was never military but political: Russia literally forced the US to negotiate with Iran and, eventually, Syria by making it politically impossible not to. The mantra “Assad must go” is now gone and the AngloZionists have to at least give the appearance of being willing to negotiate. Again, this is undoubtedly a major victory for Russia. Of course, this is “bad news” only for those who from day 1 bought into the “game changing” narrative about the Russian military intervention. For those who, like myself, prefer facts to slogans, none of the following came as a big surprise. In fact, all this was predictable and predicted. First, Daesh did rapidly adapt to the Russian air campaign. The first thing Daesh realized is that regardless of how intensive the Russian bombing campaign was, it would have a very limited impact on the actual line of contact, on the front line. As far as I know, the only location where the Russians did provide some limited close air support was in the Latakia province and along the main highway to the north. This is now slowly changing as the Russian are now gradually shifting from operational targets to tactical ones, i.e. instead of hitting command or training centers or ammo dumps, they are now gradually increasing their support for the Syrian military engaged in direct combat. Until last week or so, all the Syrians had to support them on the ground were 30 year old MiG-21s and MiG-23s. This is now reportedly changing in some key sectors of the front. Second, instead of just hunkering down, Daesh went on the offensive in several sectors of the front, thereby forcing the Syrians to send troops to these sectors and that, in turn, prevented the Syrians from concentrating enough firepower and manpower along their chosen axes of attack to achieve an operational breakthrough. The lack of manpower (the 4 year long civil war took a terrible toll on the Syrians) is a crucial Syrian vulnerability which Daesh has very skillfully exploited. More and more signs are pointing to the very high probability that Kogalymavia Flight 9268 was destroyed in mid-air by a bomb. Interestingly, even Egyptian experts which everybody suspected of wanting to cover this up are now saying that they are 90% sure that a bomb caused the crash. The Russians ain’t saying much, but all their actions are consistent with the same hypothesis. While we will have to wait for the official report to get the facts (yes, I trust this report simply because there are too many countries involved and the Russians have no reasons to lie) I personally have come to the conclusion that by now the destruction of Flight 9268 by a bomb is a reasonable working hypothesis. I believe that this bomb was placed inside the aircraft by one or several individuals either sympathetic to Daesh and the Muslim Brotherhood or simply for money. I am aware that there are already plenty of goofballs out there offering much more exotic explanations (from a fly-by-wire backdoor to an Israeli missile to an energy weapon) but, being a great believer in Occam’s razor, I will stick to the simplest explanation until I am provided with fact-based logical reasons to think otherwise. As I have written in the past, I don’t believe that this tragedy will have a significant impact on the Russian operation in Syria or on Russian policies, if only because there is really nothing much the Russians can do. In this case again, there is a lot of hyperbole around what the Russians might do if it is proven that Daesh or Daesh sympathizers placed this bomb on the aircraft. Furthermore, since Daesh is really a creation of the AngloZionist Empire, then the latter would have to be held accountable, at least under the Command Responsibility doctrine. The Washington Post has already decided to preempt any such suggestions by ridiculing any possible Russian or Egyptian statements that the CIA might be involved. And considering the “special relationship” the USA has the Saudi Arabia, Turkey, the UAE or Qatar, any suggestions that these countries are involved would also put Russia on a collision course with CENTCOM. Personally, I think that it is perfectly fair and reasonable to place the responsibility for all the atrocities committed by al-Qaeda/ISIS/Daesh & Co on the AngloZionist Empire, including the wars in Bosnia, Chechnia and 9/11. Saudi Arabia, Turkey, the UAE, Qatar or Israel are all just parts of the “Empire of Kindness” created by the US deep state and while they might have disputes with each other they are basically all serving the same interests. And there is no doubt in my mind that Putin fully understands that. The problem is that Russia is too weak a country to be able to declare that or even to acquiesce to any such statements. Not only does the Kremlin want to avoid a direct war with the USA, but even an open-ended political and economic confrontation with the so-called “West” is something which Russia is trying hard to avoid due to her comparative weakness. I therefore don’t believe that Russia will take any direct actions against the countries sponsoring and controlling Daesh. There is another interesting hypothesis made by some observers. According to them, the real purpose of the bombing of Flight 9268 would be to draw Russian into a ground operation against Daesh. Here again, if that was the goal behind this atrocity, I don’t believe that it will work. 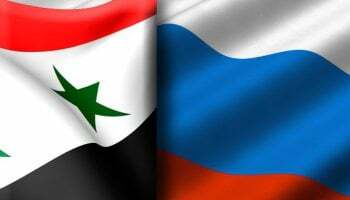 Just like Russia did everything in her power to avoid openly intervening militarily in the Donbass, Russia will do everything possible to avoid any ground operation in Syria (for a detailed discussion of the Russian reasons please see here and here). If 60% of Russians are opposed to an direct intervention in the Donbass, then there will be even much more opposition to any Russian ground operation in Syria. Finally, as I have written many times, the Russian military (as a whole) was never designed to operate at beyond 1000km from the Russian borders and Russia therefore simply lack that kind of power-projection capability. Frustrating as this might be, the right thing do to for Russia is to do nothing or, more accurately, to do nothing different from what she has been doing so far. Russia does have the capabilities to increase her military involvement in Syria and I have already mentioned these options in the past. They include using long-range aviation from Russia or, better, using an Iranian air base. Alternatively, Russia could decide to build a “Khmeimim 2″ airbase near Latakia and commit more aircraft. Maybe I am wrong here, but I don’t see that as a solution. In my opinion, there is a limited timeframe for the Syrian military to achieve an operational victory against Daesh, after that I see no other option left but an Iranian ground intervention (which, by itself, would be a very complex matter and which would trigger a massive anti-Iranian hysteria in the US-controlled part of our planet). So all I am left with is the hope that the Russian General Staff’s modeling capabilities are as good as they are supposed to be and that the very limited but highly effective Russian intervention will be sufficient to go from having a quantitative effect to a qualitative one. I hope that the sum of small tactical victories will eventually bring Daesh to a breaking point significant enough to allow for a Syrian operational success. I will gladly admit that at the end of the day I trust Putin and the superb team of generals he has placed at the head of the Russian armed forces. In conclusion I want to say that I am very proud of what the Russians are doing in Syria, both militarily and politically. They have shown an immense amount of courage and skills, at all levels of the game. 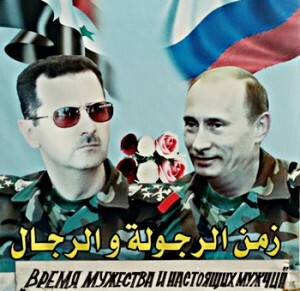 But I also think that it is crucial for all of us, who are sympathetic to Russia and the anti-imperial Resistance worldwide, to stop presenting this intervention like some kind of “game changing” “done deal” in which the Russian Bear will crush all the terrorists and restore peace to Syria. Alas, we are still very very far from that. What the Russians have provided is an absolutely vital and very daring last minute temporary solution to a very dangerous situation about to get much worse. They did that knowing full well that they were at a huge political, geographic and military disadvantage and that their move was extremely risky. I would not say that Putin is risk averse, but he is certainly very cautious and for him to have authorized such an operation must have been very difficult. My guess is that what made him decide in favor of this intervention is the (correct) belief that the Russian forces in Syria are not only fighting for Syria, but that they are first and foremost fighting for Russia. Every Wahabi/Takfiri organization on the planet has already declared a jihad against Russia and Russia has been fighting these crazies ever since the USA and the Saudis literally federated them in Afghanistan (the “brilliant” plan of Brzezinski and, later, Reagan). The Russian people know and understand that, and Putin has repeated that often enough to have this message fully sink in. This is why the Russians will hold the course even if a major setback occurs and this is also why they will not have an events like the bombing of Flight 9268 by US-run puppet distract them from their real objective: help the Syrians, Iraqis and Iranians defeat Daesh.